Menus! We translators are obsessed with menus, not particularly when we translate them into another language, but when we actually are sitting on a chair in the restaurant. It is only of our habits to scan the whole menu even though we already know what we will order. We scan it and we are eager to spot typos and wrongly translated cooking terms. One may wonder how difficult could it be to translate a menu. Well, it can be very interesting to read an inadequate translation of a menu! In this article I will give three pieces of advice to restaurant owners and other three to professional translators. Here we go! Tip 1: Arrange a meeting with your translator. Make sure that the chosen translator is a professional and not just an individual that speaks the target language. If not, you will be risking having displeased guests that thought they ordered something that they did not really did or that they may be allergic to some ingredients that were mistranslated. The latter is quite important and this could result in some unforeseen situations. Try not to just email the texts to the processional translator, but actually have a printed menu with you, if available. Give your translator specific guidelines on what the translation should reflect. Tip 2: The purpose of the menu is to be attractive and understood by your guests. This means that your menu needs to be (as we say) localized to the culture of your clients. And yes, I do agree to keep it close to yours too, as your food culture is what needs to be transferred, but you also need to make it as close to your clients’ as possible. Tip 3: Try to avoid romantic and wordy descriptions. 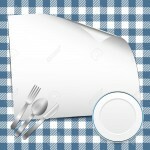 The menu needs to be quite simple and clear; however, the necessary information should be included. It is better to describe dishes in an attractive manner, than just type bare terms. Remember that your menu is there to show and offer dishes to your guests and is your strongest marketing tool after your picturesque location and attractive décor. 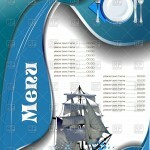 Tip 1: If a meeting is arranged by the restaurant owner, then this is your chance to have a look at the printed menu. It is also a great idea if the meeting takes place at the restaurant so that you can get a feeling of the place that your translated dishes will be served. If a meeting is not arranged, then try to initiate it. Tips 2: Food culture: try to find similarities and differences. There may be dishes or items in the menu that does not correspond to the food culture of another country. Identify those differences and consider whether it would be a wide move to have a meeting with the restaurant’s chef. The chef will give you all the necessary information that you will require to produce the correct transfer of the food culture. Tip 3: Try not to stick to the source text that much. Imagine that you the client of the restaurant and produce a menu that would be attractive to you and your fellow countrymen. The target market is the main aim here without forgetting the elements of the food culture of the original menu. Lately I was asked to translate menus for a very particular and prestigious restaurant here in Crete and needed to make notes when the restaurant owner was explaining to me what went wrong with previous translated menus. All those incidents that occurred due to inadequate translations needed not to be part of those I finally produced for the client. Understanding the risks and changes the client wishes to make valuable to the translation process and these should be communicated. To restaurant owners: what types of issues have you faced due to inadequate translated menus? Please, do educate us! To translators: have you ever had to address any issues not described in the post? If yes, please do let us know by sending us a comment!